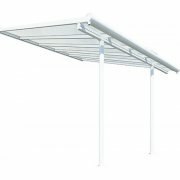 Palram’s unique Unbreakable polycarbonate shed designed and developed with an emphasis on the everyday use aspects for maximum comfort and usability all day long. Thanks to our perfect virtually unbreakable Polycarbonate, Palram skylight sheds are actually stronger than polypropylene or polyethylene panels and will be the best choice when choosing a garden shed. 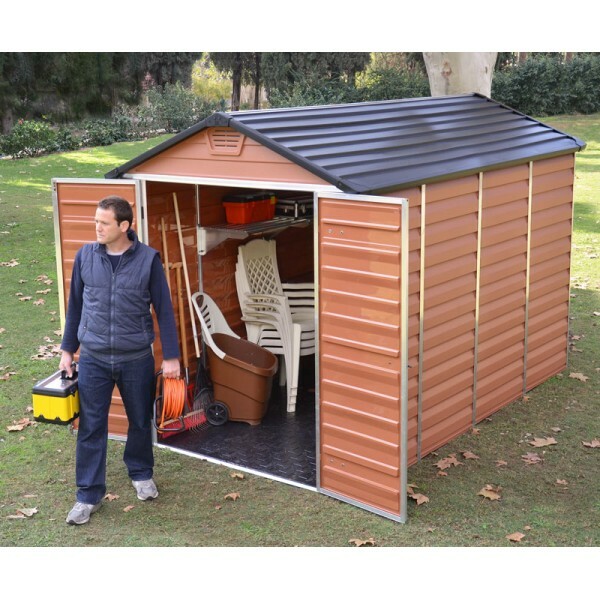 Before you’re choosing a garden shed it is important to pay attention to the specifications and features of the shed, benefits, and downsides of the structural materials and to the sheds life-cycle costs and maintenance. 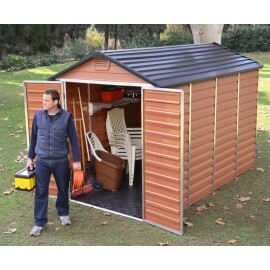 These are very important aspects in order to ensure quality, durability, and safety of your shed for many years to come. 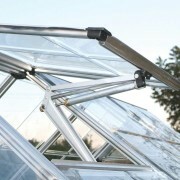 A unique feature of the shed is Palram’s unique polycarbonate Skylight. The innovative roof panels transmit natural light into the shed for maximum comfort and usability all day long without the need for expensive and vulnerable open windows or unsafe electric lights. 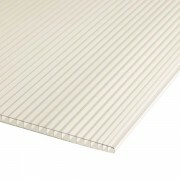 In addition, the Skylight roof has safe opaque external visibility for maximum privacy and it also prevents harmful UV rays from entering the shed and damaging your stored items from getting dull and deformed. 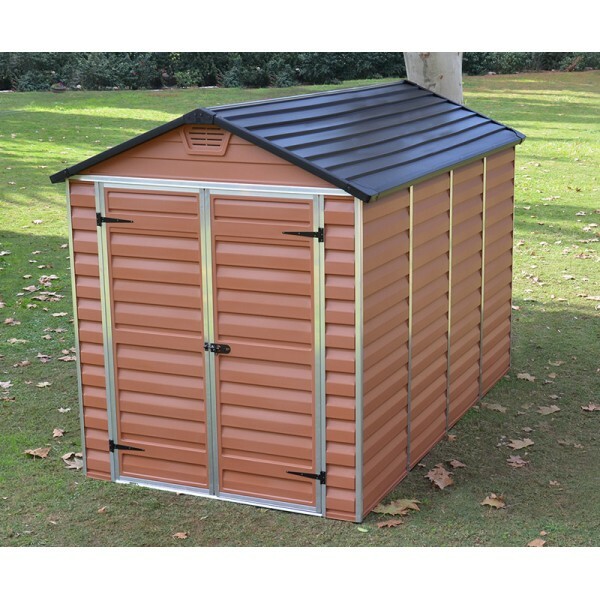 Plastic sheds are maintenance free and washable ensuring years of carefree use. Unlike wooden or metal sheds that may be damaged from rust, rot, peel, color fading, and excessive weather wear and tear Palram’s polycarbonate panels requires zero attention from your side and expressed in low product life cycle cost since no painting or surface treatment are needed.